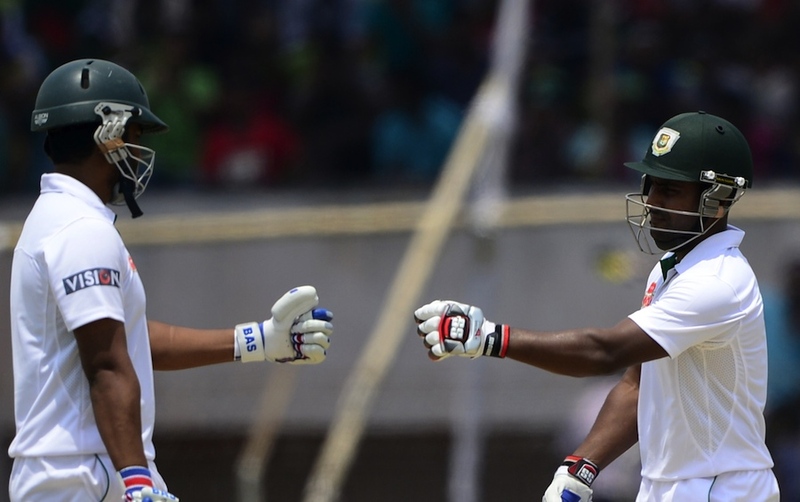 Tamim Iqbal and Imrul Kayes put on 312 for Bangladesh's first wicket against Pakistan in Khulna, a national record for any wicket and the 12th-highest opening stand in all Tests. But there has been one higher partnership by two left-handers in a Test: for West Indies against Australia in Kingston in 1998-99, Brian Lara (213) and Jimmy Adams (94) put on 322 for the fifth wicket after Pedro Collins retired hurt. Sourav Ganguly and Yuvraj Singh put on exactly 300 for India's fifth wicket against Pakistan in Bangalore in 2007-08. The previous-highest opening partnership between two left-handers was 273, by Marcus Trescothick and Andrew Strauss for England against South Africa in Durban in 2004-05. Rather surprisingly, perhaps, it's true that West Indies have never failed to overhaul a fourth-innings target of 200 or fewer to win a Test. The lowest target they fell short of is 214, against Pakistan in Dacca (now Dhaka) in 1958-59: despite Garry Sobers top scoring (45), West Indies were all out for 172, and lost by 41 runs. The damage was done in the first innings, really: West Indies declined from 56 for 2 to 76 all out, with none of the last six batsmen managing to score a run at all. Jonathan Trott, who played his last one-day international in Cardiff in 2013, finished with a batting average of 51.25 from his 68 matches (65 innings). That puts him seventh overall, given a minimum of 20 innings. The list is headed by the Dutchman Ryan ten Doeschate, who averaged 67; next at the moment is Hashim Amla, some way behind on 55.26. Other current players on the list are AB de Villiers (53.65), MS Dhoni (52.46) and Virat Kohli (51.47); Michael Bevan averaged 53.58, helped by 67 not-outs from his 228 innings. Trott is a long way clear of the next England player, Kevin Pietersen (40.73). For the full list, click here. There have now been exactly 50 instances of a bowler taking 13 or more wickets in a Test, and that instance in Melbourne in 1901-02 - when Barnes took 13 for 163 and Noble 13 for 77 - is the only time it happened twice in the same match. For the full list of bowlers taking 13 or more in a Test, click here. As for the bookstore, it's a great idea - but sadly it wasn't that particular twosome who started it. The business started up in New York in 1886, and became Barnes & Noble after a change of ownership in 1917. The elegant West Indian batsman Faoud Bacchus does hold this particular record - all his 19 Tests were on different grounds. The Indian bowlers Narendra Hirwani and Ashish Nehra come next: they both played 17 Tests, at 17 different venues. 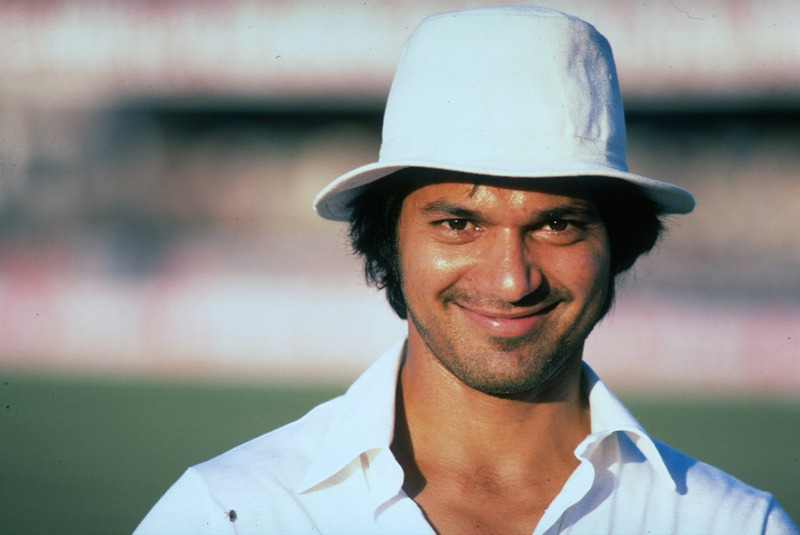 Not surprisingly, perhaps, Test cricket's most-capped player holds the overall record for the most grounds played on: Sachin Tendulkar played Tests on 59 different grounds. Shivnarine Chanderpaul is just behind, with 58 so far. Charles Bannerman and Dave Gregory, who both represented Australia in the very first three Tests in the 1870s, are the only men to play a total of three Tests all at the same venue - Melbourne. Mahmudullah is actually the second man to complete this particular double, adding a stumping (Zulfiqar Babar) in Khulna recently to his 5 for 51 in the victory over West Indies in St Vincent in 2009. But the old New Zealand allrounder John Reid had done this before. He collected a stumping (the England opener Peter Richardson) while deputising for the injured Eric Petrie at Old Trafford in 1958, then in 1963-64 claimed 6 for 60 against South Africa in Dunedin, his victims all coming from the top eight in the batting order (the other two were run out). According to Wisden, South Africa "collapsed in the face of Reid's offcutters following an opening partnership of 117 between Trevor Goddard and Eddie Barlow".